I recently purchased a Rockpro64. Installed this Android Image. Android 7.1.2 Stock Image [microSD Boot]  found in the Wiki. However, it is always on LandScape Mode. I have tried changing the HDMI Orientations, tried several Orientation apps. Always treating it as a landscape device. Could anyone shed light on this, please? it looks to me that both shots are portrait with just different resolutions. 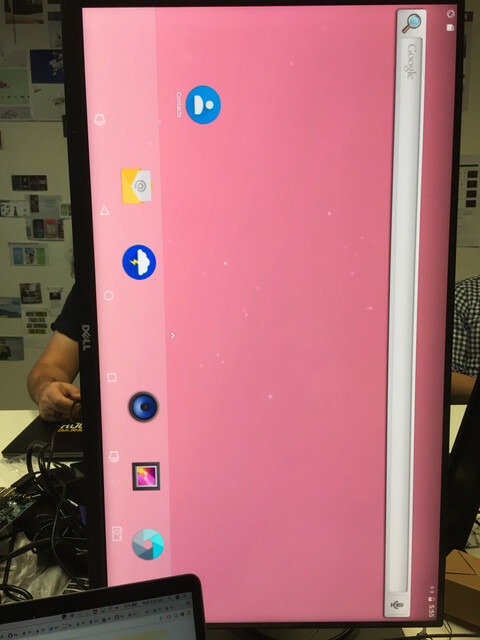 that is because you have the menu along the bottom of the monitor and not the side. it appears the monitor is sitting on its side and used as a text reader of sorts however the system has no way to determine this without input from a sensor which does not exist with your setup. what do you want to use this monitor for with your setup of it on its side? (08-15-2018, 08:26 AM)dkryder Wrote: [ -> ] it looks to me that both shots are portrait with just different resolutions. that is because you have the menu along the bottom of the monitor and not the side. it appears the monitor is sitting on its side and used as a text reader of sorts however the system has no way to determine this without input from a sensor which does not exist with your setup. what do you want to use this monitor for with your setup of it on its side? Thank you for your response. 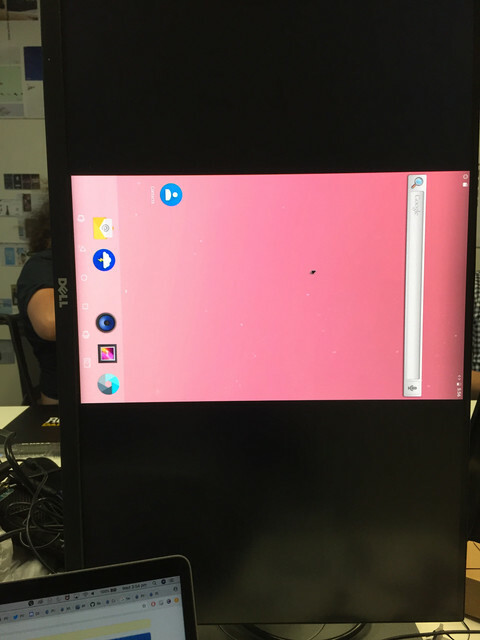 I am supposed to convert a monitor into a Kiosk. Expected aspect ratio is 9:16. I understand your explanation but, i have no idea of how the internals work. So, how can I trick the system to go 9:16? Any help is appreciated. Have you already tried a 'set orientation' app ? (08-15-2018, 04:22 PM)Luke Wrote: [ -> ] Have you already tried a 'set orientation' app ? Yes I have. I have tried that one, then few others and even tried setting the Settings->Display->HDMi rotation as well. of course this means you need to know how to work with unity but if faced with the issue myself and knowing some unity i would learn what i needed to implement it. this of course assumes the routine will do what you want and that you otherwise know how to create an android app because if the routine covers the bases you need it will be running the kiosk as an app to handle the screens display. I tried that app. But, was not working either. No idea how to progress with this now. I am buying a normal android tv box tomorrow and see if I can work with that. If it doesn't work, then I'll know that something was actually wrong with what I am doing and not with the Android Version Rockpro64 is using. I really appreciate your time you have spent writing replies. Thank you. Well two things. Firstly, I know to little about android to really be of help, but I am positive that this can be done - via an app or manually editing xml. Have you tried the latter ? Secondly, if it indeed cannot be done, then you could / could get someone to build android from source (the SDK if on wiki) a version that is in the orientation you require. XML editing means, by enforcing an activity to Portrait? Yes. The applications I am building for the Kiosk are all Portrait only. However, they made no difference here. Sure, I'll try looking through the Android Code to see if I could tinker around this issue. But, I have no experience building Android. I think its time then. Thank you Luke. Update: I started on this project again today. I tried changing the build.prop file to see adding rotation there makes any difference. Since I could not find a rooted android image for Rock Pro 64, I think I'll have build an image from the source code (For now, No idea how). However, It seems it is going to take 8 days to download that 50GB of SDK provided. To add to the pain, adb usb and connect tcp stopped working as well. Roadblock after roadblock. Will write an update if there is any progress.